LaVahn Hoh earned his M.F.A. from the University of Wisconsin and his M.A. for the University of Illinois. Well-known for his expertise in technical theatre and special effects, LaVahn has created scene designs using non-traditional materials for many of his designs. LaVahn teaches a course on special effects in the theatre and has created special effects for many regional and university theatres. In addition to teaching theatre technology courses, he is a nationally known circus historian and teaches the only accredited course in America on the history of the American circus. He co-authored a book entitled Step Right Up! The Adventure of Circus in America and has produced a video on the Clyde Beatty Circus, which was screened at The Virginia Film Festival. LaVahn taught circus history and was the archivist for Ringling Bros. and Barnum & Bailey Clown College. He has appeared on a two-hour documentary on the Arts and Entertainment Network commemorating 200 years of Circus in America. LaVahn was also seen on an A&E special looking at the world of Dare Devils and on A&E’s Biography The Flying Wallendas. LaVahn wrote the history of clowning for the 1998 version of Microsoft’s Encarta. He was featured in an article in USA Today about his class and his affiliation with Clown College. LaVahn was seen on an A&E documentary The Great Wallendas and was featured in People Magazine. Recently he was seen on the History Channel’s Suicide Mission. LaVahn wrote the history of the circus for the 2001 edition of the World Book Encyclopedia. He was awarded a Faculty Fellowship at the Institute for Advanced Technology in the Humanities in 2002 where he is developing a database on the History of the American Circus: 1793-1940. LaVahn was the commissioner of Health and Safety for the United States Institute for Theatre Technology. 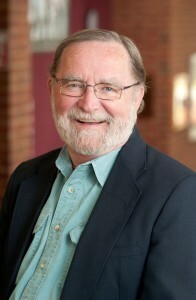 Prior to joining the University of Virginia’s faculty, he served on the faculties of Northern Illinois University and the University of Wisconsin, Eau Claire. He is a member of USITT, SETC, VTA.